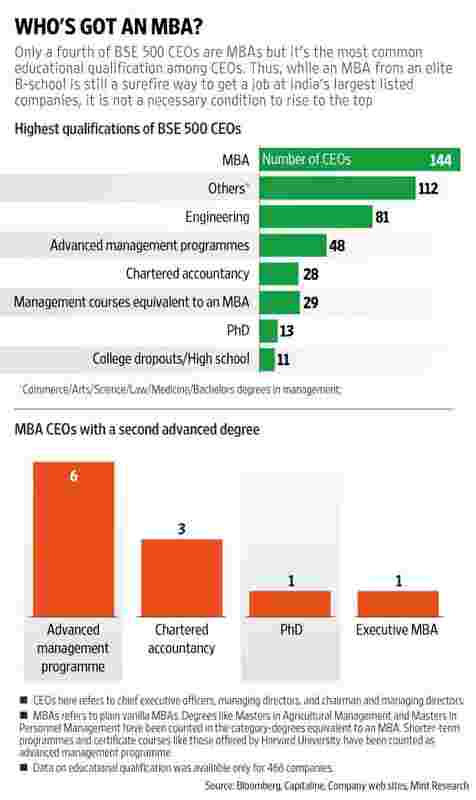 How many Indian CEOs have an MBA? 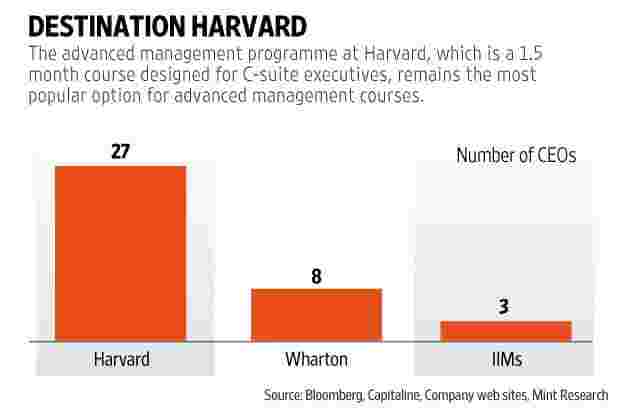 New Delhi: Does one need to have an MBA to ascend to the top of Indian companies? 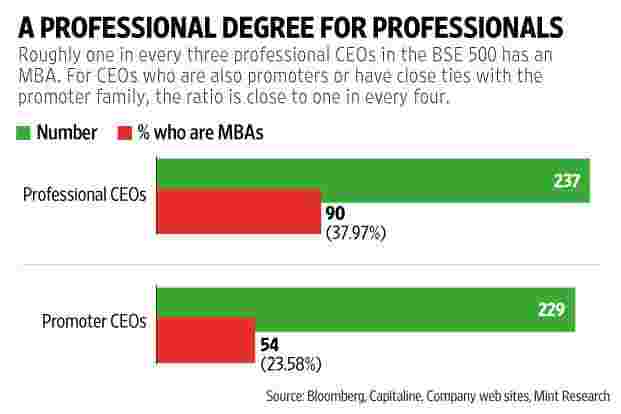 A Mint analysis shows that 144 of the CEOs of BSE 500 companies, India’s largest listed firms that make up 90% of its market capitalisation, have an MBA. Details were available for only 466 companies. Here, the term MBA is used loosely, to also include the much sought after post graduate diploma in business management or PGDBM that is awarded by the Indian Institutes of Management or IIMs. No other educational qualification comes close. 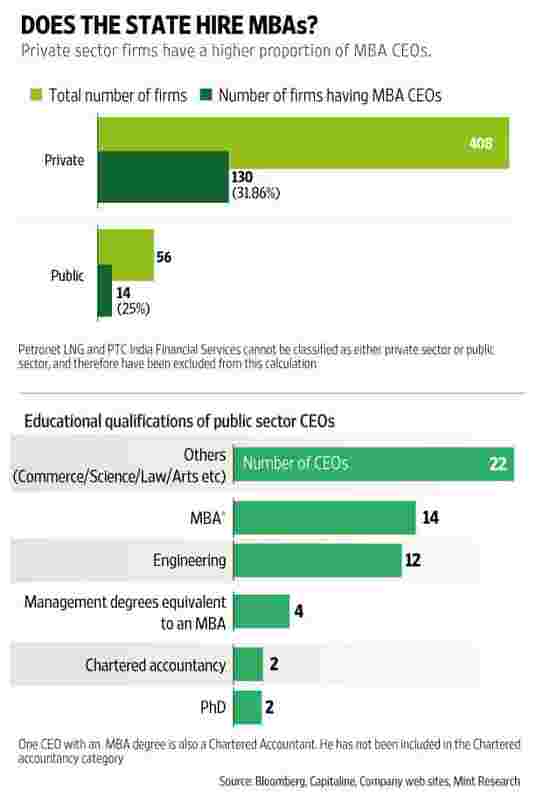 Interestingly 81 of the CEOs are engineers but it is likely that many of the 144 CEOs with MBAs are engineer-MBAs. The Indian Institute of Technology and Indian Institute of Management Combination was and is a popular one. Still, there are 322 companies whose CEOs are not MBAs and it is evident that a B-school background may not be necessary to rise to the top -- even in the case of professional managers.